The company Sony is quite a productive company. They tend to release several new camera models within a short period of time. While this is a good thing, in a way that you can have several options and find the most suitable one for your needs, the numerous choices often confuse potential buyers. In the following article, we will help you choose between Sony Alpha A6300 vs A7II, which are both mirrorless cameras with 24 MP resolution. Despite the similarity, there are several important differences that set Sony Alpha A6300 and Sony Alpha A7II apart. First of all, let’s have a look at the dimensions of Sony Alpha A6300 vs A7II. If you prefer the lightest and slimmest option, Sony Alpha A6300 is the way to go. It measures 120 mm x 67 mm x 49 mm, and it weighs about 404 grams. While there are indeed lighter and smaller models available on the market, the Alpha A6300 is already very attractive, considering the outstanding performance that it offers. The grip area is textured, and the handling is very nice. Sony Alpha A6300 has a 3.0-inch tilting display screen with button control. There is also an electronic viewfinder on the upper left corner. Take a look at the sibling here: Sony Alpha A6300 vs A6500. 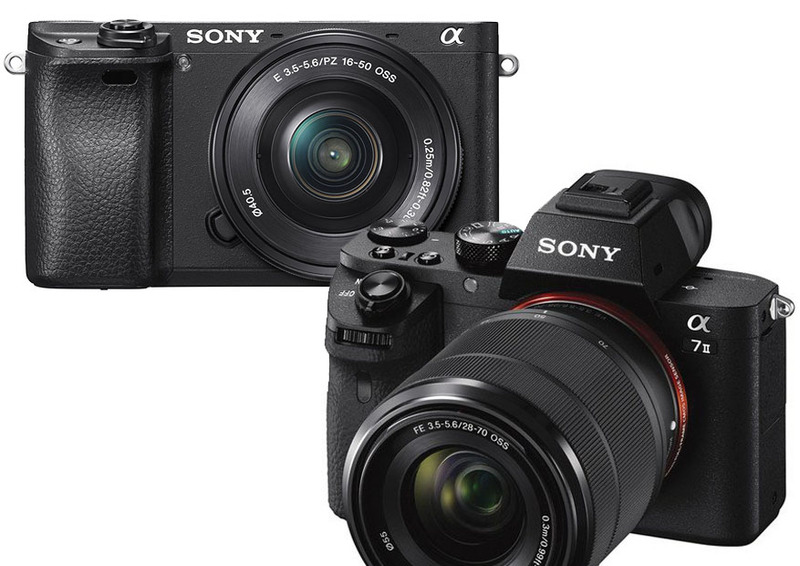 The design of Sony Alpha A7II is actually quite similar, which is not surprising due to the fact that these two models come from the same series. However, Sony Alpha A7II is quite bigger and heavier. It measures 127 mm x 96 mm x 60 mm, and the weight is almost 600 grams. The more expensive model also has a 3.0-inch tilting display and an electronic viewfinder, but the viewfinder is placed at the center above the rest of the body. Such design feels easier to use. In addition, Sony Alpha A7II has more customizable functions thanks to an extra Fn button. The next difference between Sony Alpha A6300 and Sony Alpha A7II is about the sensor. Sony Alpha A6300 has the 24 MP APS-C Exmor CMOS sensor, which has a copper wiring to collect light more efficiently and accelerate its readout speed. It also has a new BIONZ X processor that has been updated for better noise rendering. The ISO sensitivity range is 100 – 25600, expandable to 51200. On the other hand, Sony Alpha A7II comes with the 24 MP full-frame Exmor CMOS sensor. The full-frame size makes a better crop factor and will give better image quality at high ISO levels. The ISO range is 100 – 25600, with the pull values of 50, 64, and 51200. You can use the ISO 51200 in the Multi NR Mode, which is great for static JPG shots. Sony Alpha A6300 does not have any built-in stabilization. It relies only on the optical stabilization of compatible lenses. Not all of the lenses have stabilization, so you won’t have any stabilization at all with some lenses. Sony Alpha A7II has integrated the 5-axis sensor-shift stabilization technology. This is a very nice feature that can help you get sharp and detailed shots with any lens. There are several other features that are offered by Sony Alpha A7II. It is able to capture 14-bit RAW with the uncompressed option, which will be useful if you often need to stress the RAW file a lot in the post-production. It also has 11 fps continuous shooting speed, 4K video recording, and a much more powerful AF system. Sony Alpha A6300 only has compressed RAW and 5 fps continuous shooting speed. Sony Alpha A6300 can be a good choice for amateurs and professionals who prefer to work with compact APS-C lenses. It is smaller and lighter. However, Sony Alpha A7II offers a number of advantages, and is much more powerful for enthusiast users. The built-in stabilization allows you to use a wider range of lenses, the AF is stronger, and the uncompressed RAW can be very useful for heavy post-production.